Upon landing, I started Googling, and found it to be Buubble, the self-proclaimed 5 million star hotel. 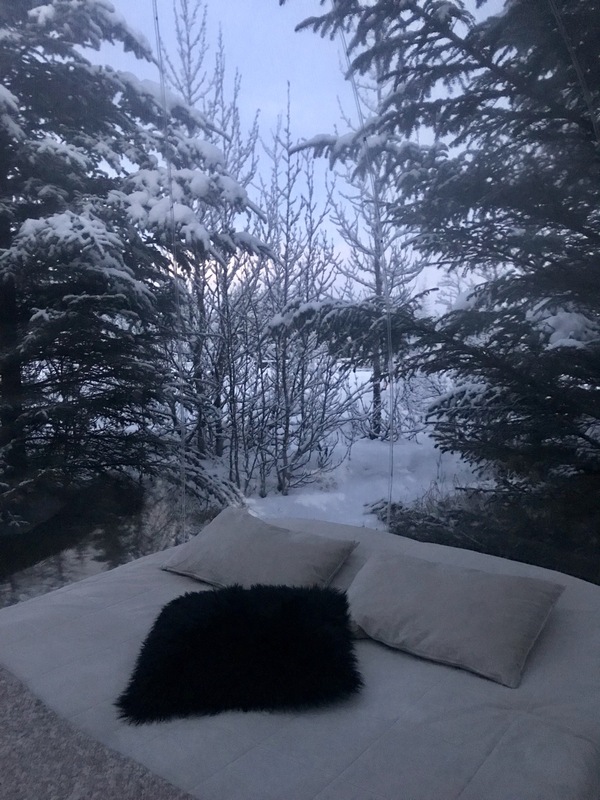 Basically, a “hotel room” that’s one giant, clear, bubble, where you can rest your head and enjoy a non-stop 360 degree view of the Icelandic night sky, and hopefully catch a glimpse of the Northern Lights. “I’m concentrating on offering the accommodation during the wintertime, so that people can see the Northern Lights and the starry sky,” Róbertsson explained in the website not long after it launched. That sounded pretty good to me! 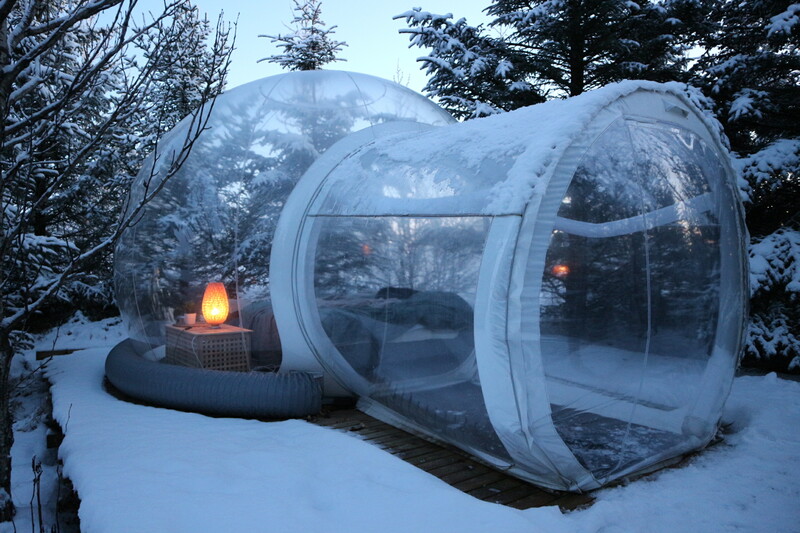 My birthday happened to fall in the middle of our Icelandic stay, and I decided then and there that if I had to be another year older, I wanted to stay in one of these bubbles for my birthday. I braced myself for what I was sure would be a ridiculously high price, and was more than pleasantly surprised to find out it was only going to set us back AUD$300 for the one night. Wanna take a look around? WHAT’S IT LIKE IN THE BUBBLE? Despite the fact that they are a self-proclaimed 5 million star hotel, given that the ‘hotel’ is actually a giant bubble in the middle of a forest (the exact address and location is not revealed until you’ve booked, for safety and privacy reasons), don’t expect 5 star facilities. The bubbles themselves (there were only 2 when we booked ours, but it’s now grown to 8!) just contain a big, comfy bed, a little coffee table, a lamp, and a power point (yes, devices can be charged, no there isn’t WiFi in the bubbles, but there is WiFi available in the communal service house). There was no TV or sounds system, and no lights – just a small lamp for dim light; you won’t need it, because once it gets dark (sunset is around 4 – 4:30pm in November) and the stars come out, you won’t be able to look away! 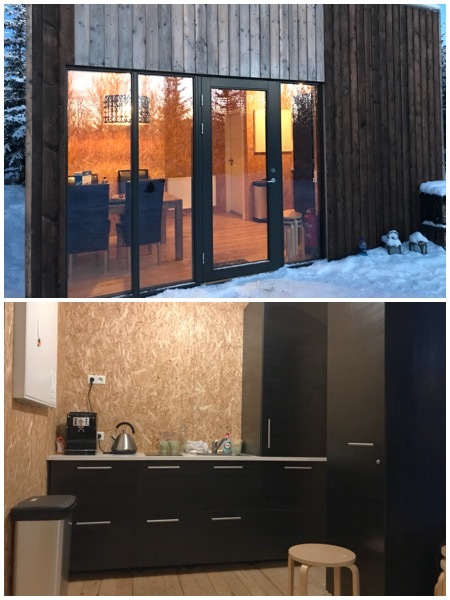 In terms of facilities, there is a shared service house tucked away on the property, containing showers and toilets (toilet paper and shower towels are provided) – they’re centrally located, so only a 2 – 3 minute walk from any of the bubbles. But when it’s below freezing and you need to pee in the middle of the night, it’s hard work getting your layers and snow boots on! ARE THERE ANY OTHER AMENITIES? WHERE CAN I EAT? There is free car parking available, and the service house has a small kitchen space with a dining table, coffee machine and elecrtric kettle, sink, microwave, dishwasher, and even a small stovetop – as well as pots, pans, cutlery and crockery! Once you get there, you’re probably not going to want to venture back out to look for a restaurant because a) driving at night in Iceland is scary when the weather can change at the drop of a hat, and b) Iceland is expensive beyond what you’d expect (as in a margherita pizza and a vegetable salad cost us AUD $55.00. Yup, seriously). Your best option is to stop at a supermarket like Bónus or Krónan (there’ll be a ‘how to do Iceland on the cheap’ post coming soon, because it actually IS possible!) and BYO dinner – we took a cup of instant noodles each and bought 2 capsicums – we chopped them up and cooked them in a fry pan in the share kitchen, then stirred our noodles through! And shared a small bag of M&Ms for dessert! This was one of my concerns, given that there are actually several bubbles on site. 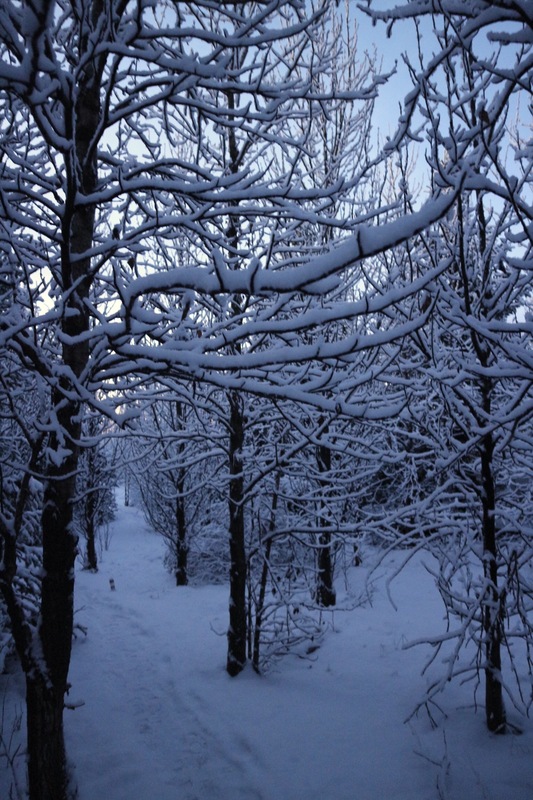 Above is a photo of the path we walked from our bubble to the share service house, and if you scroll back up, you’ll see the thicket of trees behind the bed. Yes, there are other bubbles around, but at best you’ll only see a peep of them through the trees if their lamps are on. When we visited, there were only 2 bubbles occupied by independent travellers (us and another couple), and a few more occupied by tour participants, and we didn’t see or hear any of them except for a brief crossing of paths making dinner. And, there are no animals other than the odd bird. Absolutely!!! While we didn’t see the Northern Lights, we saw the stars like we’ve never seen them before. We lay on the bed and watched a snow flurry slowly dust the dome. We woke up to a winter wonderland you couldn’t even conjure up in your dreams (see below – the snow actually shimmered and sparkled in the morning sun). It was one of those experiences that although it cost money, I couldn’t put a price on, and I’ll remember forever. Click here to see what it’s like to walk to the bubble we stayed in from the service house. And head on over to their website for answers to more of your questions and to book your bubble. You know you want to. This sounds amazing! I can just imagine being all tucked in warm and cozy with the stars above. Adding this to my travel to-do list! I hope you get to do it some day! It’s magic! Thanks for the shoutout – I hope you get to visit the bubbles some day!! Isn’t it?! So much fun! This looks amazing, Jess! Our travelers have considered going to Iceland, and this looks like it could be an interesting visit. What an interesting and different accomodation! I’ve visited Iceland and it is such a beautiful place! It would be awesome to stay in one of these bubbles. I think they have these in Finnish Lapland too! It’s incredible, isn’t it?! You might have to plan a return trip now! More and more Nordic countries are adopting construction of these transparent / glass roof structures to give a boost to the Northern Lights Tourism. The experience must certainly be phenomenal, Jess! When we visited Iceland, we spent a night in one of these small cottage huts built in a vast open space in the Myvatn area, so I totally know what you mean with the struggles to rush to the bathroom in the middle of the night, lol! Wow they look great! We saw these before our recent trip in December and wondered what they would be like. I hope you get the chance to go back and stay in one!